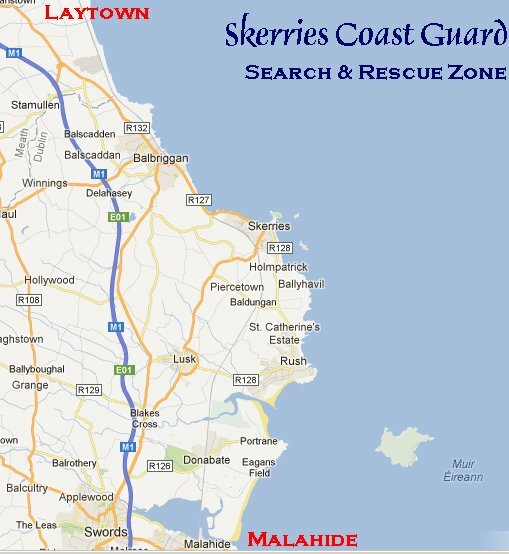 The Skerries Coast Guard response zone stretches for some 40 miles from the Nanny river at Laytown, Co Meath southwards to Malahide, Co Dublin. This encompasses a wide variety of shoreline terrain; long sandy beaches lined with grassy dunes, hidden shingle coves, caves, sheer rocky cliffs and islands. Laytown is sited on the Nanny river, a popular fishing spot. Moving southwards to Gormanston the shoreline features glorious long sandy beaches overlooked by high clay banks. The Delvin river at Gormanston, marks the end of the sandy terrain and also the Meath / Dublin county border. Moving south towards Balbriggan the shoreline becomes increasingly rocky and jagged, peppered with small shingle coves. This shoreline area also includes an active army firing range and military lands, part of the Gormanston army camp. Regular live firing exercises are held and the public are advised to take notice of any warning signs displayed. The army will display a red flag at the large headland of Ben Head when live firing is in progress. Rounding the major headland near Bremore, the fine cove of Cromwell’s harbour emerges. The outlying Cardy rocks are marked with a red port spar. Moving southwards we meet the most Northerly Martello Tower of Ireland’s East coast. Built during the Napoleonic era as a signal defence tower, several others are strategically dotted along the East coast. The town of Balbriggan features a large, sheltered working harbour. The harbour’s sectoral lighthouse dates from 1765. 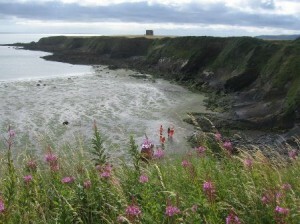 Balbriggan features a fine sandy beach, popular with swimmers. Moving south from the harbour, the King’s strand sees a return to the challenging rocks with sheer rock cliffs beginning to emerge at The Bower. 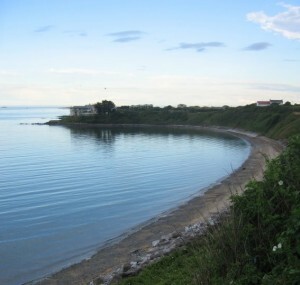 Here panoramic views towards Skerries can be enjoyed, overlooking the mixed shoreline. Barnageera Bay is a real hidden gem, a quiet unspoilt sandy beach with rolling waves and provides a welcome break from the rocky shoreline on either side. High, sloping clay banks overlook the beach and on a clear day they also provide good views of the Mourne Mountains. A nearby outdoor adventure school provides lessons in surfing & paddleboarding, allowing the public an opportunity to try these watersports in a safe environment. The base for Skerries Coast Guard. The town of Skerries features a large working harbour and an active sailing club. 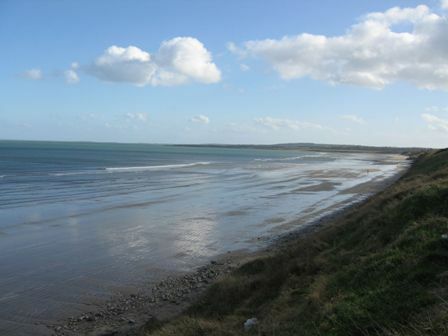 The South Strand is a popular kitesurfing spot on blustery days. 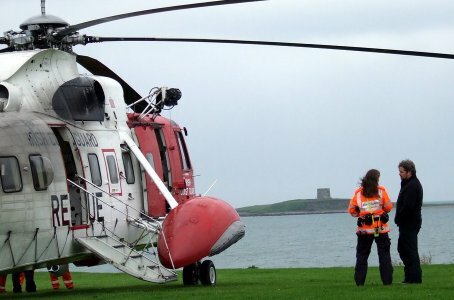 The Red Island penninsula houses the Skerries Coast Guard base and is a regular site for our helicopter training exercises. It is overlooked by a large Napoleonic Martello Tower, once home to a cafe many years ago. 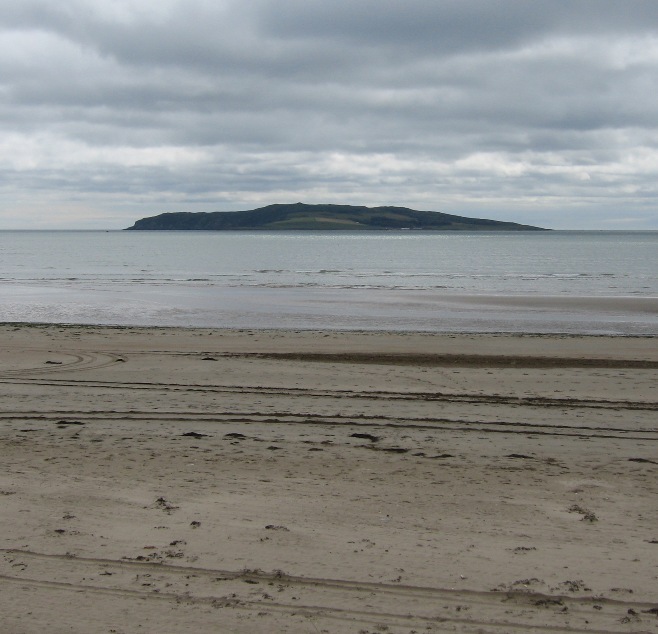 Off the coast of Skerries lies three small uninhabited islands – Colt Island, St Patrick’s Island and the largest of the three, Shenick Island, which features another Martello Tower. Shenick Island can be accessed on foot only during low spring tides, when sea levels are at their lowest. If you’re planning an excursion to Shenick Island, read our advice page to stay safe. The Skerries coast is also well known for the impressive offshore lighthouse of Rockabill, sited on the larger of two rocky outcrops off the coast. Moving towards Loughshinny the shoreline becomes increasingly rocky. One notable feature along the coast is the Smugglers Cave. 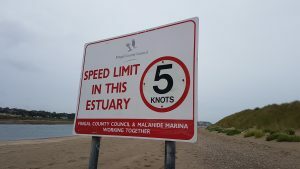 The village of Loughshinny boasts a sheltered harbour and fine sandy beach that is popular with swimmers. South of the harbour is the major headland of Dromanagh, on which stands an imposing Martello Tower. The headland is of national archaeological significance, with the visible remains of an iron age promontory fort. The shoreline of the headland becomes increasingly hostile, with sheer rocky cliffs and long, narrow inlets. From the North, Rush village begins with the long sandy North Beach, overlooked by small holiday parks. 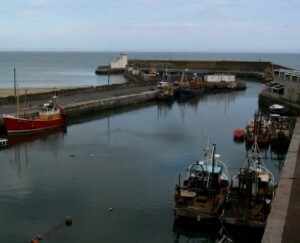 The quaint, sheltered harbour features mostly small leisure boats. Moving on from the harbour, passing another Martello Tower, the vast expanse of the sandy South Beach opens up. Fingal lifeguards are on duty here in the summer months and it’s also another very popular spot for Kite Surfing. Off the Rush coast is Lambay Island, a large island with a rich and varied history, including the first landing of the Vikings in Ireland and the site of the tragic RMS Tayleur foundering on its maiden voyage in 1854. The island was formed from volcanic activity and rises some 127 metres above sea level. The island is in private ownership and is still inhabited. 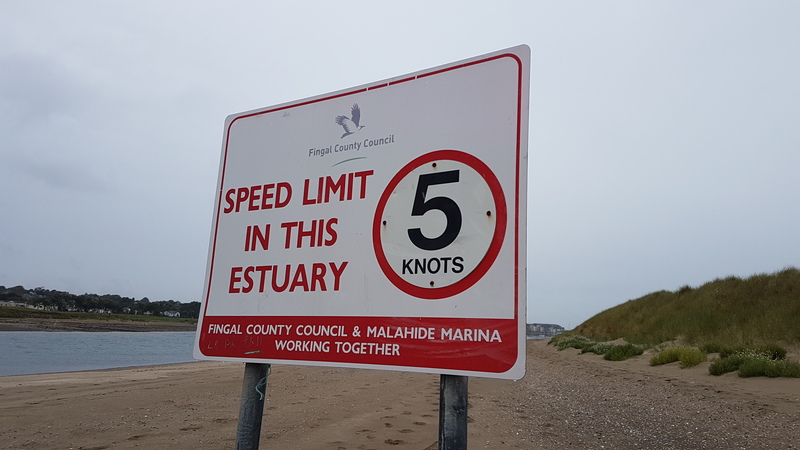 The Rogerstown estuary is also home to Rush Sailing Club and more recently Fingal Rowing Club. The estuary also features an old but working harbour stone pier. Along the southern edge of Rogerstown Estuary lies the shores of Portrane, with a prominent sandy beach near the village centre. Moving further south, passing a beautifully restored and inhabited Martello Tower, we reach rocky cliffs of Donabate. 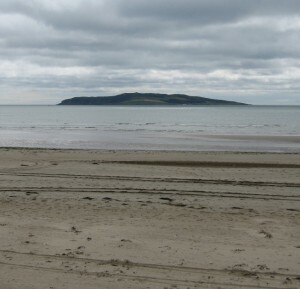 This leads into a long, glorious sandy beach, overlooked by a Martello Tower, This vast sandy beach of Donabate meets up with the Malahide estuary to the south. 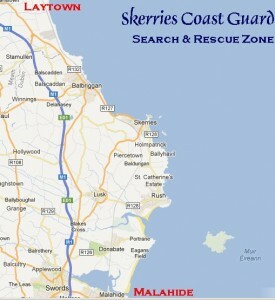 The Southern boundary of the Skerries Coast Guard response zone, the large town of Malahide is bordered to the North by the large expanse of Malahide estuary. Home to several sailing and watersports clubs, this is a popular area for both the experienced and the novice sailor. For some more photos of our search and rescue zone, please visit our online public gallery.